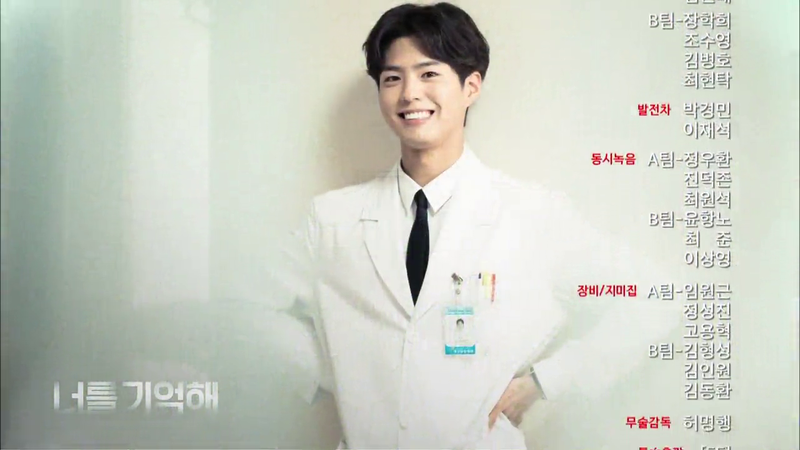 Because Park Bogum is adorable. I could talk forever on the myriad of other characters that populate this dramaverse and how much I love them and how I’d take Chief Kang Eunhyuk as well if it weren’t for the fact that my Min would disapprove hugely but the need to analyze this drama calls. So here goes! 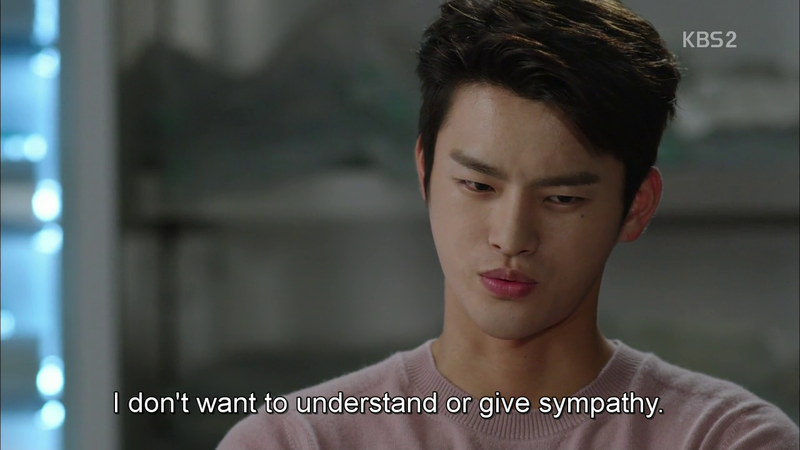 I find summing up and analyzing key ideas in dramas quite difficult. This could perhaps be due to a problem on my part with brevity or the fact that the show I like tend to be of the sort where a few words simply don’t do them and the ideas presented within justice. But damn if I won’t try. We all wear more than one mask. some more dangerous than others, which are born from and result in us meaning different things to different people. This was an incredibly huge part of the show, presented in different ways throughout. The concept of masks is nothing new especially in our society. We craft and take on different identities at work and at home for sheer ease of mind among other things. But where things get dangerous is when these masks are so fully integrated into our being that we cannot switch them on and off anymore. This danger is illustrated with Kang Eunhyuk’s father and Hyeon Jisoo who both choose to leave Lee Joonyoung on the loose in return for information on a variety of other criminals. Hyeon Jisoo’s reasons are simple and eerily understandable. The woman in man’s workplace who wants to get ahead who’s just been given the chance to bring hundreds, perhaps thousands, of criminals to justice in return for the escape of just one being covered up. Maximum happiness for the max number of people right? Why not go with that option? I wonder if she’d have made the same decision if she weren’t a policewoman, if she were perhaps a visitor to the jail who’d accidentally walked into the wrong cell and been made the same offer. Would she have taken it? Or was it because she was thinking like a policewoman instead of a civilian? When Lee Hyun’s disgust and outrage is made plain you can see her slightly taken back. Surely he of all people, he who thinks so differently from others, would understand why she made such a decision. And for the first time she attempts to think of it like a civilian would, putting aside her thoughts as a policewoman, thinking like someone who truly cared about Hyun would. And that’s when the switch flipped. So was she a good person for raising Hyun all those years? 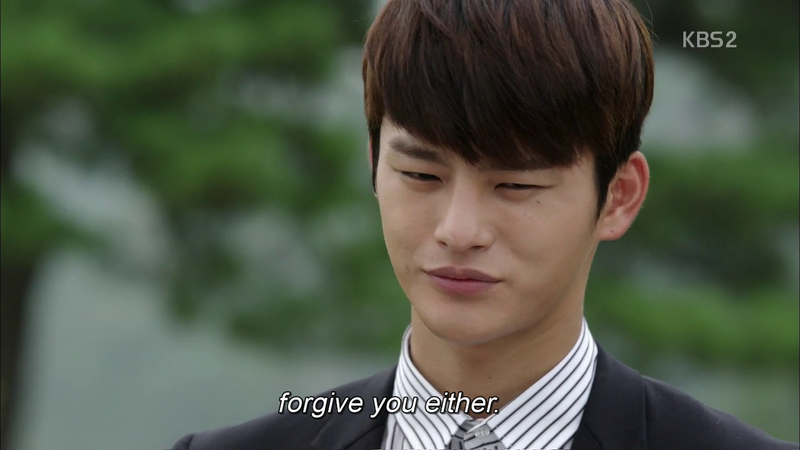 Or a bad one for lying to him for the past 20 years about his brother and about Lee Joonyoung? A second example would be Jian’s father. Prison guard by night, loving father by day. To Lee Joonyoung, he was the past in material form. Cruelty, pain, hatred personified. To Jian, he was the father she waited for everyday to pick her up. So which is it? Where then does that line exist between “good” and “bad”? What sort of people are they? Who the hell’s the real psychopath here? How does one act around someone like that? Even Kang Eunhyuk has yet to figure that one out. Those that don’t need those masks, that give the same part of themselves to everyone and keep what lies beneath either to themselves or those few that have earned their trust enough to see it. They are perhaps the most dangerous kind. While Hyun Jisoo, the Commissioner and Jian’s father were pretty awful at times, they flip-flopped between both parts of the spectrum. Good, then bad, then good, then bad. You’d at least know where they were at a given moment. 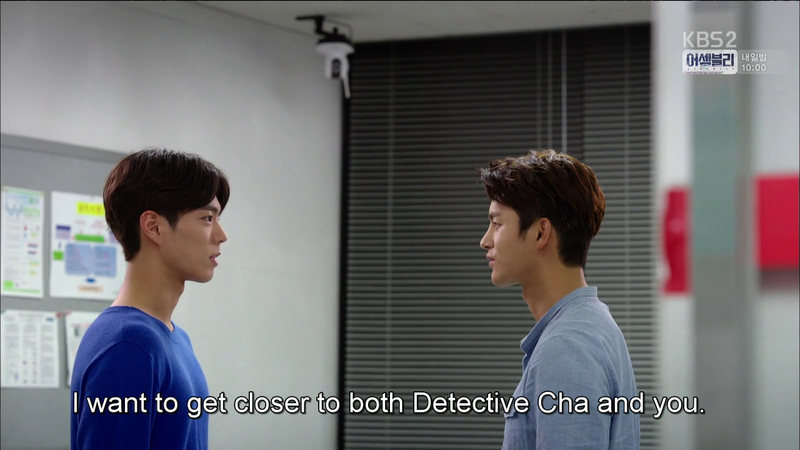 That wasn’t the case with Lee Joonyoung and Min (for the first part at least). I never knew what was going through their heads. They were cryptic, and in full control of their environment regardless of location or situation. It was nigh impossible to guess at what was going through their head without gaining intimate access to their thoughts and their pasts. Thankfully we got plenty of both. Lee Joonyoung gave his life – a life that was unwanted and despised by so many – meaning by rescuing those just like him. It became his life’s mission, his vendetta, and his downfall. Personally, part of me continues to struggle with why Lee Joonyoung must be captured, with why he must be kept behind bars forever. As much as his principles speak contrary to present-day morals, his reasoning is eerily sound. “No one else will protect them, so I will.” It’s frankly hard not to applaud him for having done so at times. Especially when you look at people like Eunbok, abused to the point where a serial killer became his saviour. 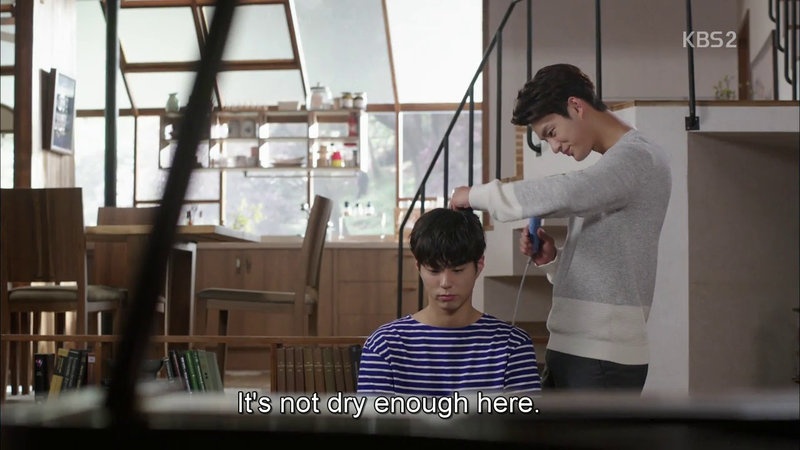 This, I believe, is the part Hyun struggles with as well. Because Lee Joonyoung for all his foibles, is someone who truly believes himself to be good. To save these children from hurt and harm, and preventing that anger and rage from festering inside them like they did with him, I can fault none of these. Yet it is in keeping this secret that we run into the dark side of an everyday man’s vigilantism. A man lies homeless, drunk out of his mind on spirits and the ghosts of his past as Lee Joonho, prior to Lee Joonyoung stealing his identity and throwing him out to a life of destitution. A young man, once with a bright future ahead of him, lies in prison for having covered up for Lee Joonyoung. A beautiful, intelligent man is taught and driven to kill over and over to resolve an abandonment created entirely by Lee Joonyoung’s web of lies. His brother is left fatherless and brotherless, driven by guilt and fear, seeking out his past the only way he knows how, living it day by day. The world is Lee Joonyoung’s social experiment. He gives away Min’s identity to the killer targeting Hyun’s loved ones simply to see what Hyun would do and then killed the man regardless for having dared to hurt Min. To him, the man seeking vengeance was nothing more than a tool to determine the extent of Hyun’s love for Min. And that’s where Lee Joonyoung’s morality departs from ours. Because despite all the deceit, manipulation and machination, he still sees it as right. “Do you think he could have handled you?” he asks Min, disregarding the fact that neither brother can ever know that outcome due to his having separated them and driven their lives in such different paths. The incredibly cruel birthday present he sends Jian is another. We see it as the act of an unfeeling monster. He seeks it as humane, a way of lessening that most terrible of emotions: hope. This then is “the result of one who is evil performing a good deed” as Min says. We cannot help but see it as evil. It’s these aspects of his character that make Hyun take the stance he does, the reason why no amount of Lee Joonyoung showing the abuse he suffered managed to gain Hyun’s sympathy. Because in the end, this is what he chose to become. Those who are born monsters can be saved and those who are born human can be turned. 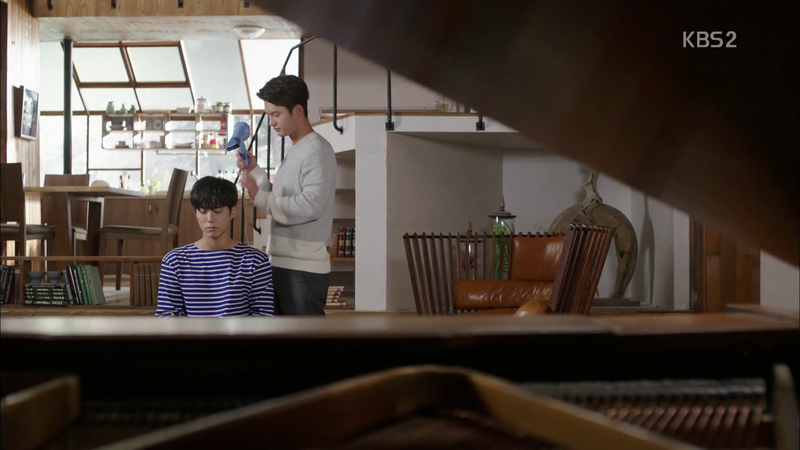 Let’s look at Hyun, Min and Lee Joonyoung on a scale. Looking at psychopathy and sociopathy in general, it’s clear that Hyun demonstrated traits found commonly in both. He was quite antisocial and held curiosity regarding matters that no average child would find fascinating. Take the questions he directed at his father “Then again, why can’t people hurt one another?” Then there was his curiosity regarding Lee Joonyoung. He’s well aware of the sort of people his father researches, yet instead of being repulsed, he drew closer in that interrogation room. Whether it was due to fascination, curiosity, a need to understand his brother or himself, or all three, we don’t know. But it was what gave Lee Joonyoung hope that even he could be understood, that he had perhaps found someone like-minded. Perhaps Hyun was born that way, perhaps the trauma he hold from his mother’s death and having killed someone at so young an age was an unconscious influence on his psyche. Lee Joonyoung appears to have been a normal child of above-average intelligence, warped by constant abuse, never having known the slightest bit of affection. Nurture and the decisions he made along the way were what shaped him into who he is now. Min is both and neither of these. Perhaps like his brother, he was born a psychopath, perhaps their mother’s death shaped them both. 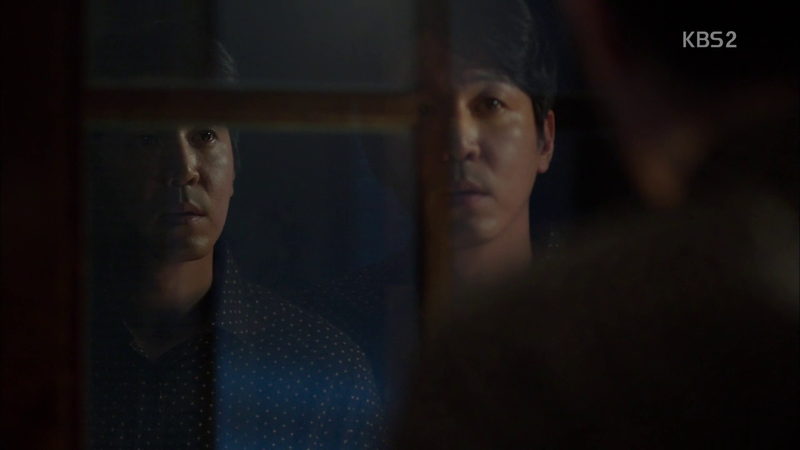 But taken under Lee Joonyoung’s wing, he grows eerily similar to his mentor’s younger self, murdering those who perform the same crime he was a victim of: abandonment. As enamoured I am of him and Park Bogum, there’s something this drama makes quite clear which is that Min is not a misunderstood angel. 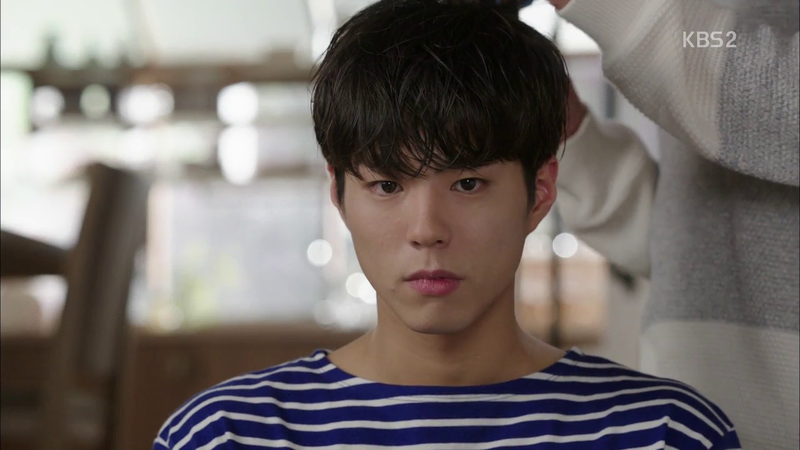 He was lied to and decieved for years regarding Hyun, and was victim to Lee Joonyoung’s warped parenting, both of which definitely had a hand in shaping him. Yet, Min is an extremely intelligent, manipulative young man. He may not have agreed that was he was doing was wrong but he certainly was aware that by society’s standards, he was a criminal. He was a lawyer for goodness sake so he certainly knows a great deal about how all this works. And yet he continued to do it. Just like with Lee Joonyoung, I can’t fault him for those he killed (I wonder if that makes me a psycho too). People like those foster parents that just let their child die are pure scum and frankly if there’s anything that Korean dramas and real-life experience have taught me, it’s that the rich will never be found guilty of any crime. In that sense, I’m sort of glad that there are people like Min and Lee Joonyoung that go around offing those whose crimes will never see the light of justice. Yet these aren’t the Middle Ages or Middle Earth. You can’t just kill someone without repercussion. Someday, just as with Lee Joonyoung, someone will discover those nameless corpses the same way Hyun did. Someone will begin a manhunt and then Min and those he loves won’t be safe. And there’s nothing Min wouldn’t do for Hyun’s happiness. Min then is a mixture of both a younger Lee Joonyoung and Hyun as a child, capable of deep love and extreme violence. Regardless of whether he was born with psychopathic/sociopathic tendencies or whether those were triggered in him, nurture and the choices he chose to make are what brought him to where he is today. [ I’d also like to note that Min isn’t capable of hurting an innocent. The attack he ordered on Jian was out of sheer spite and jealousy. She appeared to be seriously be getting close to Hyun unlike Indebted Art Deal Friend. This was a first for Hyun and Min clearly felt anxious at the fact that not only was the closest thing his brother had to a friend a female, she also cared nothing for him. The key thing here is that he wasn’t able to go through with it in the end. This was at a time prior to his harboring any warmth towards Hyun so I’d argue against this being an act of mercy for Hyun’s sake, and he was, as Jian noted, genuinely worried about her well being. There are two ways to take this, the first being that Min makes snap decisions regarding whether or not he kills people or that there’s a deeper reason behind her actions. And if there’s anything this show has taught us it’s that everyone – psychopath or not – has a reason for what they do. And Min’s was given to us from the outset. How many times does he say this throughout the first half of the show? He genuinely wants to know then better. He wants to get closer to them, to his brother especially. He wants to know why he was thrown away when Hyun appears to care so much about others (the boy at his lecture for one). 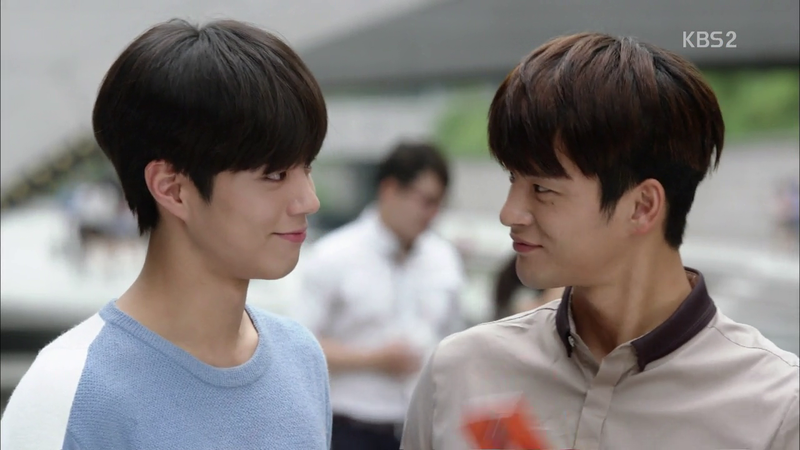 Yet neither Hyun nor Jian hold any particular fondness for his present identity. What better way to earn their trust than help them? Staging a murder and coming in at the right time to save the day would be so Min. 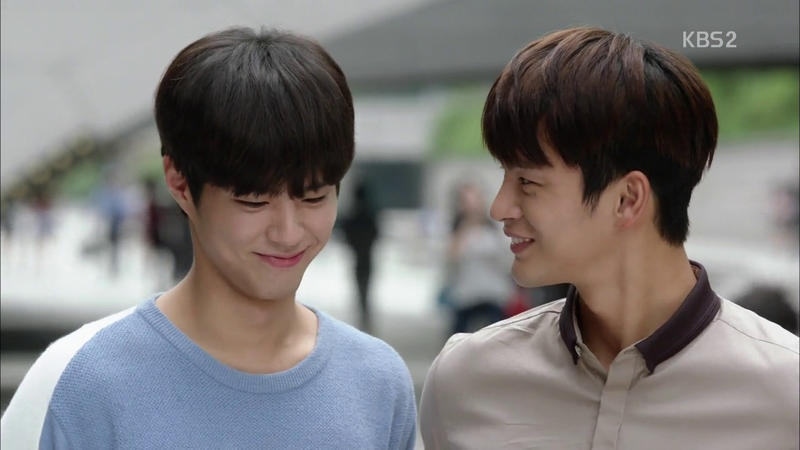 No one gets hurt this way, and he gets closer to Jian and Hyun. It’s actually rather sad that he has to drop so low to gain some small amount of trust and friendship (which Jian gives in full force). This theory is compounded by the fact that he aids in finding Jian after her kidnapping by the Woman Abuser on Steroids and takes him down with a viciousness that had me squealing in delight (watching the brothers beat the crap out of that fellow was ridiculously satisfying). Point being that the attack on Jian despite his reasons, wasn’t right in the least, but he wasn’t as far gone as to have let it happen. 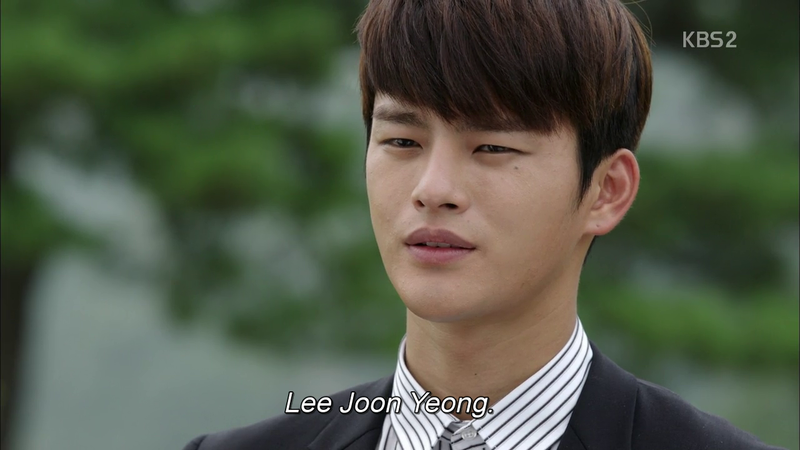 This sets him apart from Lee Joonyoung. A great many questions are answered in the finale including just why Lee Joonyoung was so fixated on Hyun in the first place. 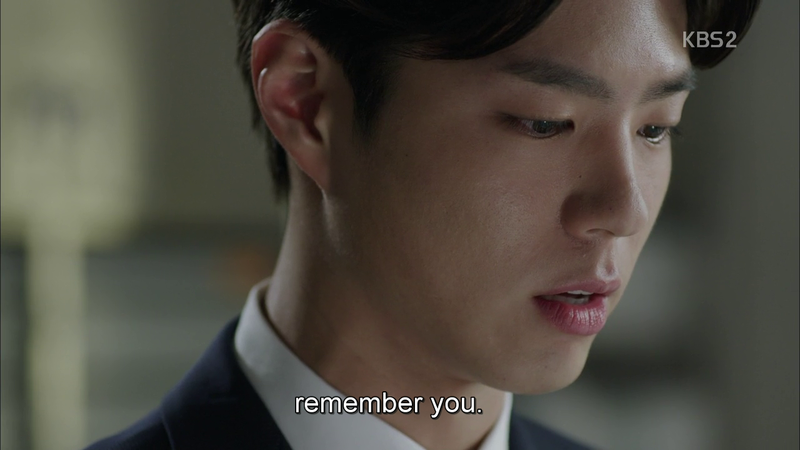 I find it testament to this show’s strengths that the final piece of Hyun’s memory was able to do what sixteen episodes didn’t – make Lee Joonyoung understandable. And it is as that final piece clicks in place that you see just why Hyun let him go and why it’s safe to say that his days are numbered. It’s strangely painful to see him declare this all those years ago, as if he knew he’d turned into something he was no longer able to control. It’s the only moment of doubt we ever witness which makes it all the more eerie and oddly heartrending. Because it’s like gazing into a mirror image of Min. A bright young intelligent lad entrenched in bitterness for far too many years whom a little warmth might perhaps have changed. Chances are that he saw that – Lee Joonyoung’s nothing if not intelligent – yet he continued to set foot to that path. And now, he can no longer see who he’s become and what he’s done objectively. As evidenced in the last episode, he simply can’t see any point of view besides his own. Why, he wonders, aren’t they grateful? All those acts of vigilantism, saving those children, taking the burden of raising Min off Hyun, none of them are having the effect he intended. His “children” are rebelling against him, Min – whom he raised like his own son – would like nothing better than to stick him in the gut, Hyun – who was supposed to understand him – feels little more than distaste, Jian – with whom he had such a warm friendship – hates his guts. He has nothing left. His world is slowly but surely collapsing around him. And watching his befuddlement and confusion, Hyun – and us as viewers – can’t help but pity him. So Hyun lets him go, knowing that Lee Joonyoung will merely resume his life’s goal: trying to give his life meaning through the saving of others. But he’ll be on the watch for families vanishing from their homes, for murders without corpses, and someday, Lee Joonyoung will be found. Nurture and the choices each of them make are what make them who they are. Hyun chooses a normal life, putting his intelligence to good use, Min chooses to take responsibility for his actions, Lee Joonyoung chooses to continue on the path he’s on. And a great deal of this, while he recovers from his injuries. 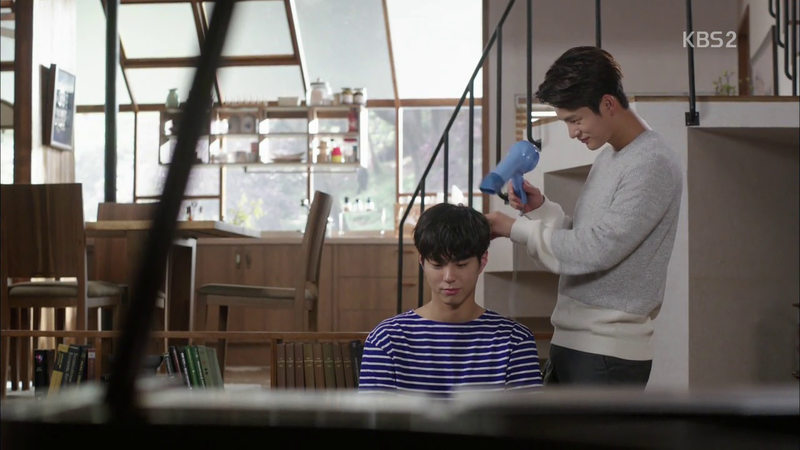 And it’s this brotherly bond that stands stronger than anything Lee Joonyoung could ever offer. It’s unlikely that Min won’t make strange comments or will see everything the same way we do but he’s grown to become someone who understands (and might only ever understand) just 25% of what he’s done wrong but he’ll take the blame from the full 100% anyway because he loves his brother, doesn’t want to be a burden to him, and wants them both to be free. And if that’s a psychopath, then I’m Lee Joonyoung. For those who wish to squee over the romance and bromance with me, let us depart with haste to part 3! For those who wish to go on to the fanfic, here we go! WOW. *slow claps* Your review made me speechless. It’s so marvelous how a single scene can be interpreted in so many different ways depending from which angle you look at it. I haven’t finished reading but feel the needs to say that this kind of deep review is so impressive. Really appreciate your efforts in scrutinizing the details. Thank you. Not intending to give any pressure, but I would love to read the romance review. Soon. Heheheh… Thanks and big hug, chingu! reading this, im crying again……min and hyun they are just beyond words …their relationship is real and dark, but feels so strong and very deep. im so touched by their story. and i am proud of min because finally he choose to change and be hyun’s brother, as LEE MIN. You described it so well! Dark, yet strong and deep. That’s exactly how I saw it! (and why it made me cry so much 😛 ) I’ll be putting up the fanfic on what happens in the future sometime today (there’s an I Hear Your Voice crossover if you’re a fan!) and I’d love to hear your thoughts on whether I’ve remained true to the drama in my portrayal of the brothers! Nobodybutkyu ….. *high five*. The evil magnae is my all time bias. I love EunSiHae too. But basically I love all those dorks, especially if they’re up to no good. Hahhaha..
Lol especially Heechul, you never know what he’s up to! And I love EunSiHae too! xD Siwon’s a hoot. 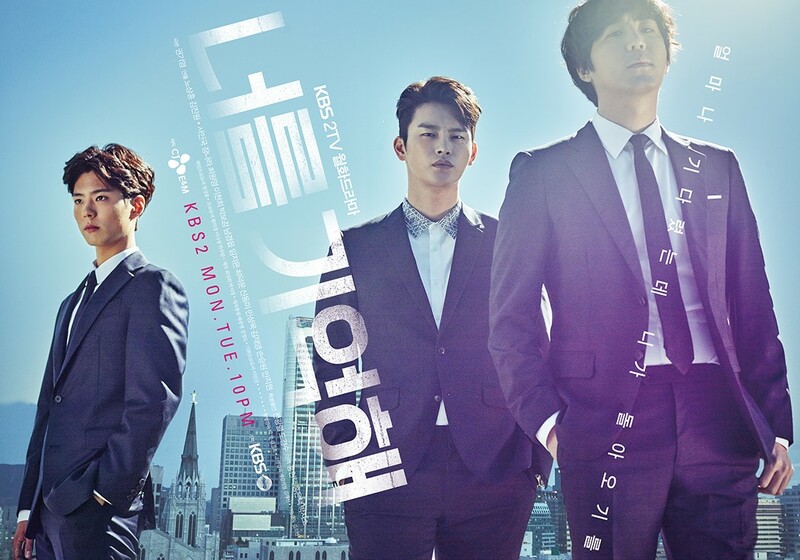 That was refreshing and new in this hobby of mine called k-dramas! 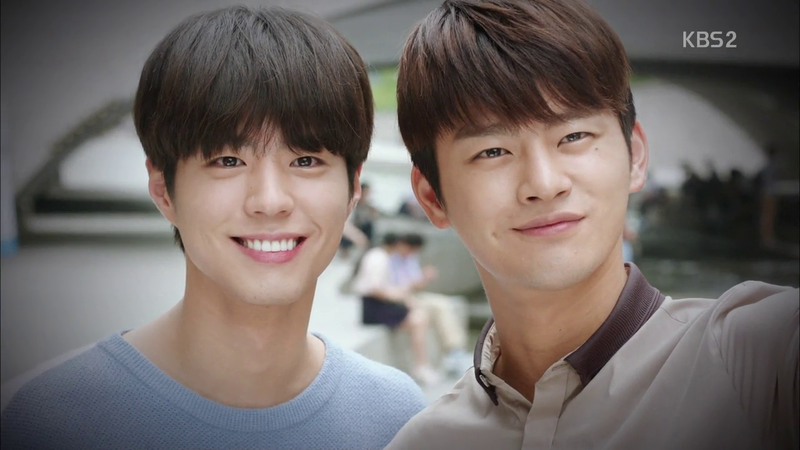 BoGuk was to me the strongest deal in the drama. Min and his devotion to his hyung, specially his ”you were my everything’ Broke my heart. 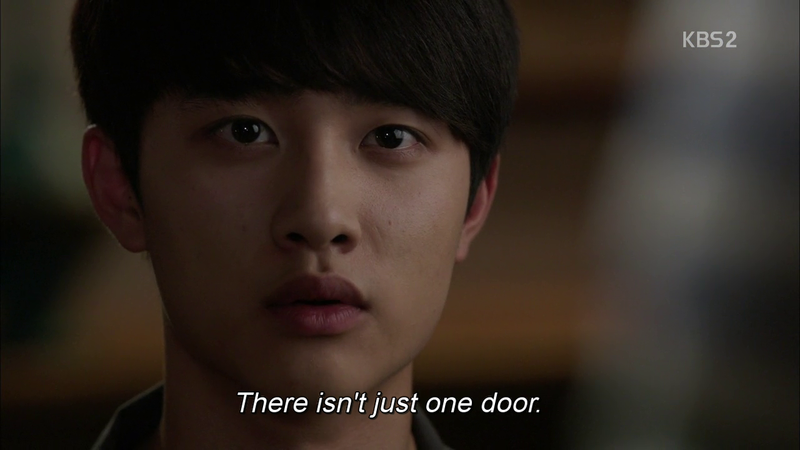 Never cried in a kdrama since Stairway to heaven years ago. PBG really nailed his Min role because I was tearing up from the moment you could see in his eyes how much pain conflicted him longing to be with his hyung, and the episode was obvious on how he was saying goodbye and giving up on his wish where he was finally part of Hyeon’s life. Many people(viewers specially-this female actress-bias people wanting the bro in jail so they could have their romance drama(which wasn’t about that to begin with) annoyed tf outta me …you could tell they won’t grasp the brother’s story, even tho he was a killer in the drama, to me, Blood is ticker than water, and I am very into brothership plots/series so I just hated how people would hate on this character then beg, whine for a cliche romancing nonsense every 10 min. I know some fellows out there probably felt like me and cared more about the brother and LJY line plot, therefore I expected a better ending on that side. Too bad the drama fell on a predictable ending..unfinished. (I didn’t mind LJY staying free) Giving the kind of plot the drama carried throughout 15 eps, it would have been pointless to have LJY captured. I might be the only one wishing Min ran away or changed without the need of predictable jail time✌ if he stayed psychopath all the way, I wouldn’t have minded him being in jail, but as he seemed so thrown back I didn’t want that. Do-what’s-right-overrated endings are repetitive. 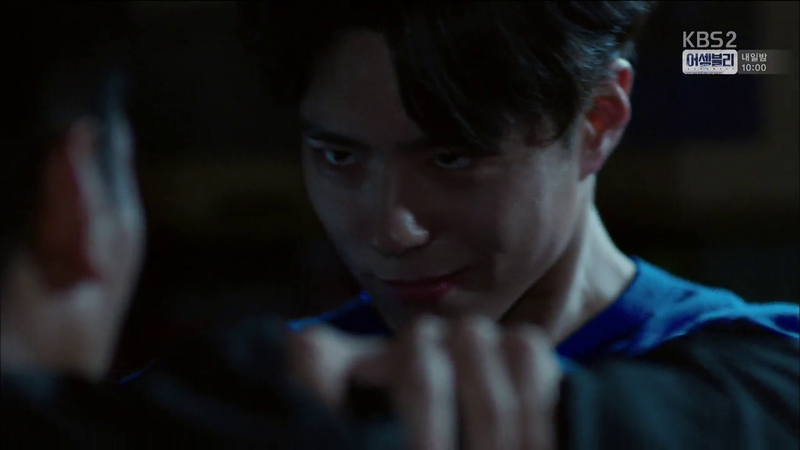 I hoped Hyeon would have held longer onto not letting bad blood seep in between brothers as he did from the ep he reunited with Min, Hyeon seemed troubled since he knew Min’s signature was the one pointing at all the murders, so if writers had him being so secretive about that, he just giving up that easily on their happy ending of setting them free from LJY, was disappointing. I am left speechless. An amazing article. That’s all I can say. WoW. Amazing.